ਮਾਟੋ: "The future lives here." ↑ "City of Surrey Population Estimates & Projections". 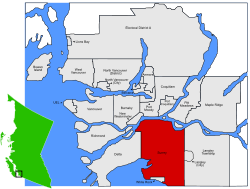 City Of Surrey. 2010. Retrieved November 27, 2011.